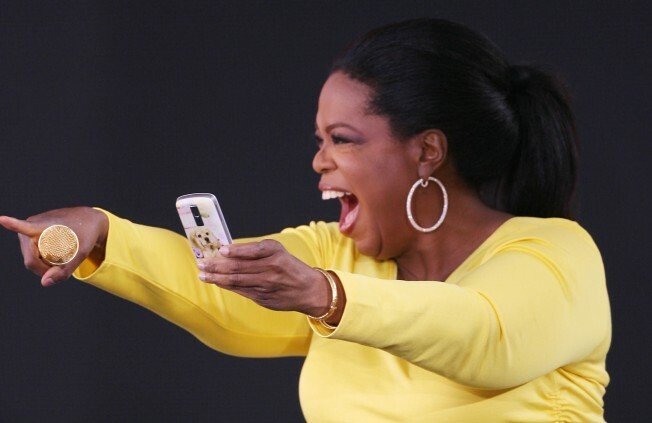 Oprah Winfrey still has it. On its debut weekend, Oprah Winfrey's cable network got some healthy sampling from viewers. During the three-hour block beginning at 8 p.m. EST on Saturday, OWN: Oprah Winfrey Network averaged 1 million viewers, according to preliminary Nielsen Co. figures released Monday by the network. OWN said that, during Saturday's 8 p.m. and 9 p.m. EST hours, the network ranked third among all ad-supported cable networks in the 25-to-54-year-old audience demo. OWN was airing episodes of its reality series, "Season 25: Oprah Behind the Scenes." Only ESPN and USA Network ranked higher. Sunday in prime time, the network averaged 822,000 viewers. OWN, which launched at 12 noon EST on Saturday, is available in 80 percent of homes with cable. PLAY IT NOW: Oprah's OWN Debuts! PLAY IT NOW: Dish Of Salt: Dr. Phil, Suze Orman & Dr. Oz On New Year's Resolutions - Should You Make Them?